PUBG Corp has been working hard to gain back the top spot in the battle royale genre. While the PC version of the game receive a new update recently, the mobile variant seems to be next in line to receive a new update, and it might even result in a downtime of the servers. As reported by The Express, Tencent has confirmed that new downtime has been scheduled for the game, making way for the PUBG update 0.7.0. which has been in the beta testing phase for some time. As per the report, the downtime was scheduled to go live at 5:30 am IST today. The new PUBG update will be going live after the server downtime, although the exact timing is not known. That being said, PUBG Mobile has a history of taking up to 24 hours in their update process, so the new update might not go live until July 24, 5:30 am IST. 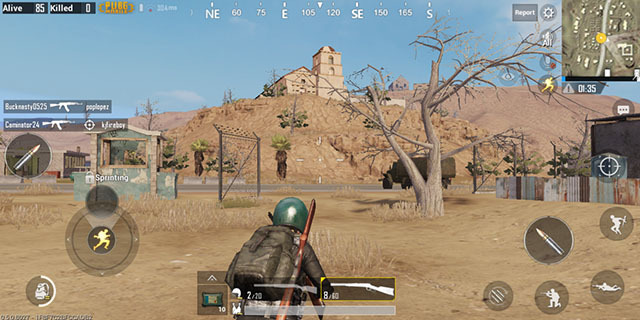 Speaking about the update itself, the version 0.7.0 update is said to allow players to test a new mode called War, which is described as a fast version of the existing Arcade Mode. War Mode also looks set to be only accessible during certain times of the day, although it’s unclear if this is something just being tested during the beta. What’s more is that there will also be a new SLR Sniper Rifle added, and a new portable Closet, which could work well with the Royale Pass.